After two years of hard work and undercover development, it is a privilege (and a relief) to announce a landmark moment for Winnow: the launch of our exciting new product Winnow Vision. Fundamentally, we believe that Winnow Vision is a game-changer for the hospitality industry and the fight against food waste on a global scale. Driven by artificial intelligence, Winnow Vision automates food waste management through computer vision technology. Automation reduces the barriers to entry for thousands of kitchens around the world. Once fully trained, there will be no need for recurring staff training or data input. Kitchens only need to throw away food to receive insight that pinpoints what has been wasted and in what volume. We have been testing Winnow Vision in the field with our two pioneering launch partners - IKEA and Emaar Hospitality Group - since late 2017. At IKEA, we’re already live in every store across the U.K. This is a big moment for us as a team, but it is also a significant point in time for all commercial kitchens around the world. This is the first time AI enters the kitchen at scale, and this development promises the most accurate food waste data possible. During the extensive testing we’ve done in recent months, we’ve reached some major milestones. Most importantly, Winnow Vision can now guess what has been thrown in the bin more reliably than busy kitchen teams. In fact, we now guess the right food at the first attempt 80% of the time. As Winnow Vision gains more image data, accuracy will only get stronger over time. Our current level of accuracy represents the fulfilment of our initial ambitions for this project. Now we’re there, we want to go further. On the ground, we’re hearing fantastic feedback. One member of the IKEA staff told our team that the system ‘works like magic’. We were also recognised at the World Economic Forum in Davos in January, where I was humbled to pick up the Tech Disruptor 2019 award for Winnow at The Circulars. A welcome addition to the trophy cabinet. Now, this initial chapter of testing and refining has drawn to a close, I’m pleased to say we’re ready to deploy at scale around the world. To be perfectly truthful, this is the product I had in mind when we founded the company in 2013. However, the field of computer vision was simply not developed enough then. 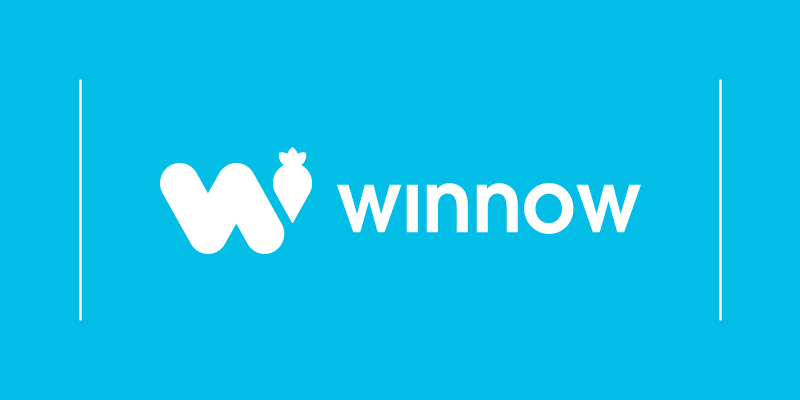 So we built the product we could: Winnow Waste Monitor – which has been hugely successful in helping businesses cut their food waste in half. Looking back to 2013, I am actually glad that we were prevented from building Winnow Vision then. Firstly, because we’ve grown together with a host of wonderful clients like IKEA, Compass Group, Costa Cruises, Accor Hotels - and many more. In over 1,000 kitchens in 40 countries, together we save one meal from the bin every two seconds. And in terms of the product itself, what we would have built 6 years ago would not be anywhere near as good as what we have engineered today. We have learned countless lessons from the kitchens along the way. And it is these lessons that are built into the design of Winnow Vision itself. I, for one, am incredibly proud of what we have built. We have always been a team driven by impact. Through Winnow Vision, our impact can scale and more businesses can join us in combating food waste. Today, we are proud to be saving $30 million a year by reducing food waste. With the launch of Winnow Vision, our new goal is to save $1 billion per year by 2025. Even though we’re 6 years through this journey, we’re really only just getting started. I’m more excited than ever for what the future holds. Thank you for your support so far, and I look forward to speaking to you and showing you Winnow Vision in the weeks and months ahead.